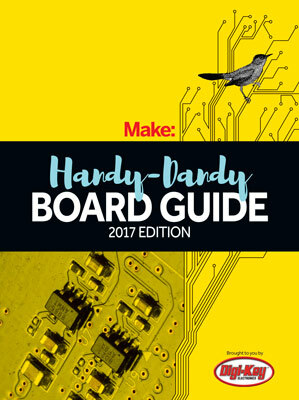 With sensors, sliders, and other onboard controls and inputs/outputs, the SparkFun Digital Sandbox is a neat way for people new to microcontrollers to get their feet wet. It uses ArduBlock, an easy-to-use visual programming language that is similar to Scratch. (Be warned: The ArduBlock add-on for already installed Arduino IDEs did not work, but the custom Arduino IDE worked fine.) It offers several experiments that can be done once set up without any extra components, and even has an output header for motors and such.